With My Password Journal you can protect your private thoughts and special mementos. This stylish electronic journal has a voice- activated lock that only opens to your voice with the password that you create. You can also record a customized intruder alert to ward off anyone who tries to open the journal. When someone attempts to mimic your password, the journal records it so you can play it back later and catch the culprit in action! The journal comes with 30 thought-inspiring prompts and has the capacity to create 10 personal ones of your own. 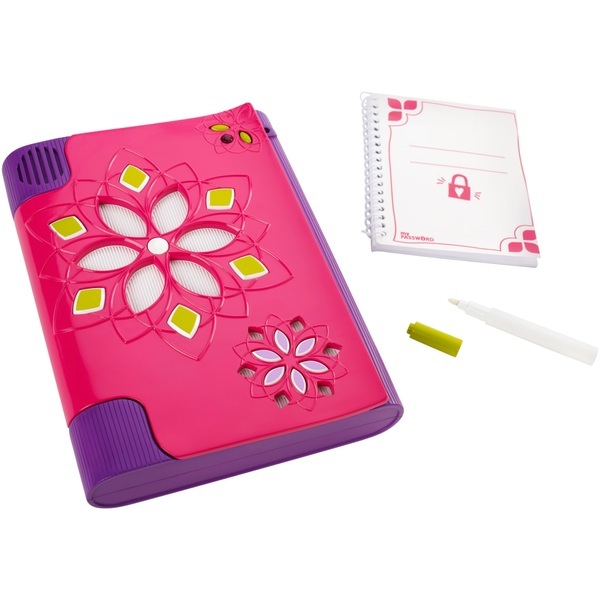 It also includes an invisible ink pen and a black light to reveal your private writing. The black light is a dual reading light so you can write anytime anywhere.